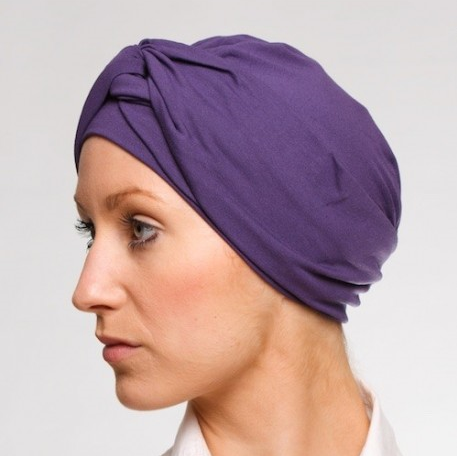 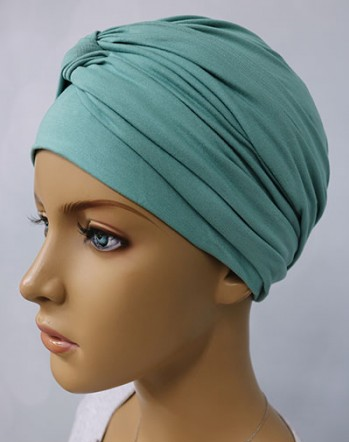 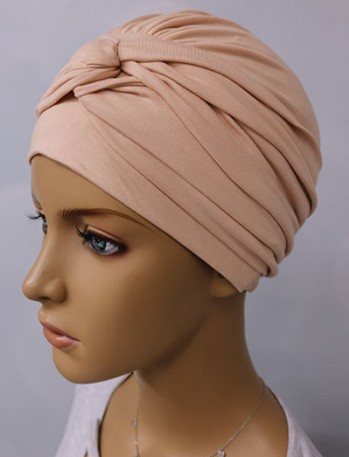 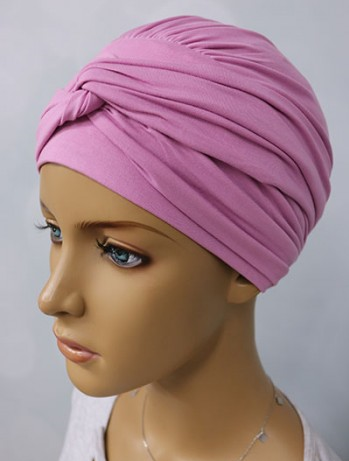 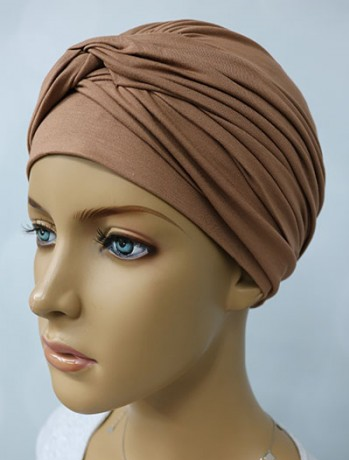 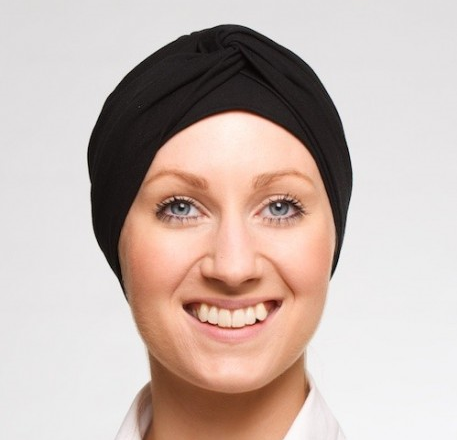 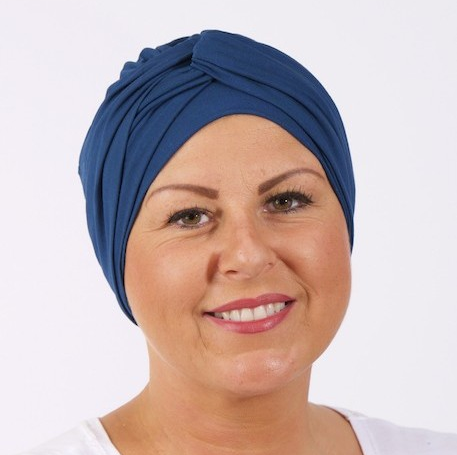 A thick and luxurious turban hair loss hat. 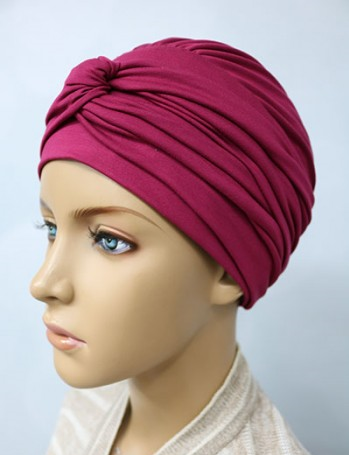 This hat is pre-stitched and pre-tied so although it gives the impression of being awkward to tie, all the hard work is done for you. 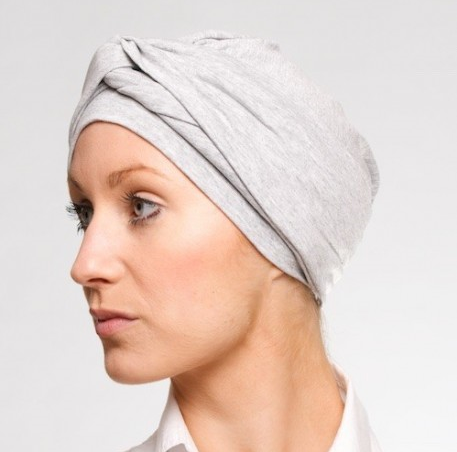 Simply pull on and go. 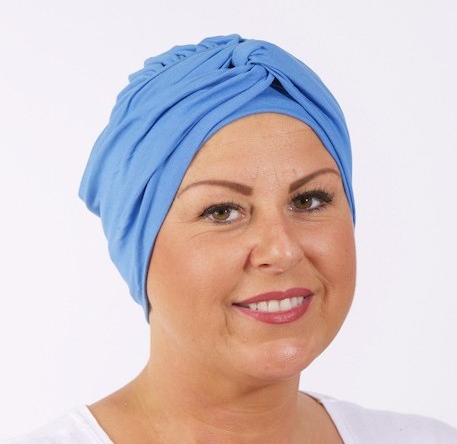 This is the perfect chemo hat.